This system is designed to simply and efficiently label the bottoms of various products. Products are transferred to an in-feed conveyor where they are aligned by a set of guide rails. The printer applicator prints and applies the label to the bottom of the product. 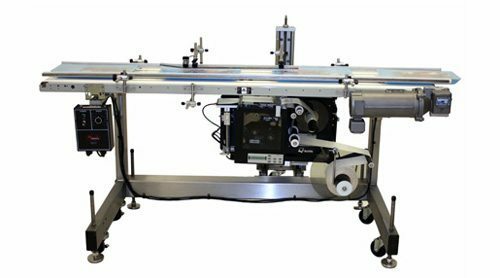 This system is ideal for a wide variety of products that require ingredient labels on the bottom panels of clam shell or shrink-wrapped products.